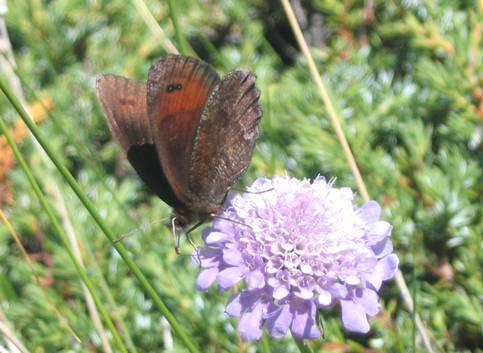 The Water Ringlet is a large Erebia with a strong flight and I had to be patient before getting a photo. 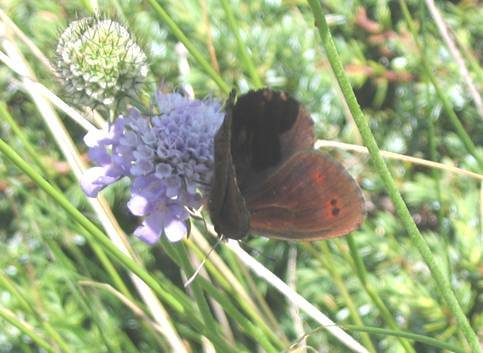 I think that the reduced upper forewing markings visible in the picture would indicate that this butterfly is of the subspecies vergy. This species was flying around 2000m a little over the tree line.